After working for 2.5 years as a full-time, in-house editor of academic English, I decided to expand my editing experience by seeking work for other organizations and in a wider variety of fields. My relevant experience includes academic editing and proofreading, writing magazine and newspaper articles, writing content for IELTS and TOEFL test papers, and song writing and other musical composition. I enjoy editing a wide variety of documents. Fictional and creative writing pieces are always fun, and regarding academic papers, I find social science and medical articles highly engaging. I am well versed in music theory, so any time I have an opportunity to edit a music-related paper (and such opportunities do not exactly come around frequently), I jump at it. I also have a keen interest in literary studies, having studied English Literature at university, and am well read in the social sciences, especially psychology, linguistics, history, and economics. My main interest outside of my editing career is music. 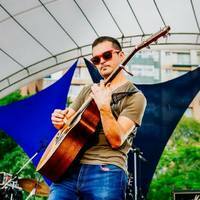 I am a long-term guitarist/singer/songwriter/amateur producer. During most of my free time not spent music making, I am reading, cooking, hiking, jogging, or watching football (...English football that is). I also speak conversational-level Mandarin Chinese, so I make sure to brush up on that once in while too. User does not have feedback at this time.